Kara DeFrias is a force of nature. 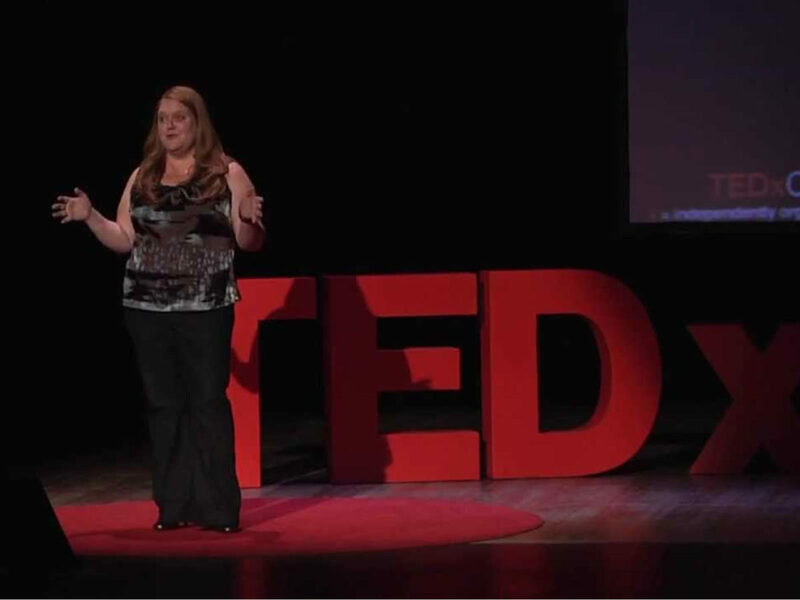 She’s been involved with TEDx since 2010, having worked at TEDxSanDiego and produced TEDxIntuit. She has many years experience producing big events, including the Oscars, the Emmys, and the Halftime show at the Superbowl, working with Sting, No Doubt, and Shania Twain. Wow. She currently runs her own Experience Design consultancy. She brings that level of experience to everything she does including recently being the Director of Experience Design in the Obama White House. From 2010-2016 she worked on TEDx projects until she was tapped to work with VP Biden on the Cancer Moonshot Project. We talked at length about producing an internal TEDx program at Intuit and what it was like working with TEDxSanDiego. While there she was profiled as a TEDInnovation for her description of how they got 1.2 million social media impressions during the 2013 event. Click to read her top ten tips for creating a social media strategy for your event. Here’s a fact you may not know. Kara created the event run-down worksheet (must have a TEDxHub account to access) used by the majority of TEDx events. This is the item-by-item description of what happens during each minute of the show. This attention to detail is a lasting legacy she’s given to the TEDx community. She started watching TED videos as soon as they hit the internet and became a volunteer at TEDxSanDiego, directing their first show in 2010. She loves being behind the scenes as evidenced by her work for over ten years in design, theater, sports, and entertainment. Too many to count she says, as she’s very often found volunteering to be the show day Director like she did recently at TEDxVeniceBeach in LA and TEDxLA at the Oscars theatre. Here, focusing on TEDxIntuit, she had to sell the idea and raise money internally. She tied the sessions to the corporate pillars, helping to build alignment between the ideas and the company. They live streamed the event to over 8,000 employees. Producing. There’s too much to write here; you’ll want to be sure to listen to every minute of the show. She was surprised people showed up. Make sure the name tags have the first name 50% bigger than anything else on the badge. And have the name only, no need for a title, business – keeps everyone on equal footing. Also, don’t forget details make or break the event. Example: she makes sure there’s a script for the volunteers who will hand out the gift bags. Having passed the torch at TEDxIntuit, her current passion is helping other regional TEDx events by emceeing or directing their shows on the day of the event. Have someone else call the show (this means they’re in the booth talking to the stage manager, the camera people, everyone involved in the production and making sure everything happens seamlessly) so you, the organizer, can enjoy your event and talk to attendees – and help put out other fires as the come up during the day.